« Get your act together! Take 2! Around 2004 or so BPI Security was moving at a pretty good pace with obtaining new clients and maintaining a solid relationship as a provider for Vance International. Just after Vance sold the business to SPX we received a call from them to meet a man at the Ritz Carlton Hotel in Tysons Cormer, VA. Upon our arrival I met a man sitting having breakfast with a V-neck sweater, close cut hair with a perfectly manicured goatee. As we exchanged pleasantries he introduced himself very humbly as “Paul”. What he didn’t know was that the representative from SPX who went with me [retired FBI] had already done some background on Dr. Paul Viollis and had briefed me for about an hour the day before. I sensed that the former Feebee was a bit intimidated about the meeting and that tension started to transcend down to me. As we discussed the issues of Paul’s client I fell into my groove and started my part on what BPI would do for his troubled client. The meeting concluded and I drove to the client’s residence to meet our new principal. Paul met me at the residence and did the appropriate introductions. In such a very short time I could easily see that this guy was extrememly polished and astute when it came to the affluent cast of this country. I could easily see the principal’s uneasiness in bringing a new phenomenon in his/her life but Paul eased that quickly. This detail turned out to be the HARDEST and most difficult detail that I have ever had to date. Me and Paul’s relationship eased into a bond of Friendship through the trials and tribulations and has never waivered since that time. He has, and still remains a mentor to me on many levels. If I call Paul for advice, I get it. If I call Paul for information on workplace violence, I get it. When I receive a call from him, I answer. That’s the way it was and the way it will always be. When I started venturing into doing interviews for this blog I was reluctant to bring Paul to the table because I was selfish and didn’t want to share my friend and his wealth of knowledge. I soon relaized that he is one of the keys to turning this industry around. If there is ever to be a conference of Security leaders that collaborated and Paul wasn’t invited, I will know that they aren’t serious. This interview can help all that are in the business but it also gives a personal perspective of the difficulties that can exist with clients. Trust me when I say, Paul is the man. When I asked him to do the interview, he stated that he was honored by my request, yet little did he know, the honor was all mine. It is my absolute honor to share Paul Michael Viollis, Sr, Ph.D. Prior to assuming his current position, Dr. Viollis’ professional business resume includes President & CEO of Corporate Risk Consulting, Senior Managing Director for Citigate Global Intelligence & Security and Vice President at Kroll where he served on their post September 11th Threat Assessment Team. Over Dr. Viollis’ storied career in both law enforcement and security, he developed a diverse base of expertise in various areas of the criminal justice system ranging from his position as supervisor for the New York County’s District Attorney’s Office’s Criminal Court Unit and Security Specialist/Supervisor under the United States Space Command to CO of a Florida State Police Academy. He is a renowned public speaker and has served as a subject matter expert in workplace security, counter terrorism threat assessment, workplace violence, private client security, police training, exam validity, school violence and domestic violence. Dr. Viollis has been involved in thousands of investigations and specializes as a security advisor for the affluent community as well as in workplace violence behavioral analysis of which he is currently recognized as one of the foremost experts in the world. Dr. Viollis is the author and lead editor for Jane’s Publishing’s book “Workplace Security”, co-authored “Safe & Sound”…Security Solutions for the Affluent and most recently co-authored his marquee book, “Silent Safety” Best Practices for Protecting the Affluent with RCS President Doug Kane. In addition, he tours yearly on the speaking circuit presenting on issues ranging from workplace violence, Private Client Security and workplace security. Dr. Viollis has appeared and been quoted in media outlets including CNN, FOX NEWS, MSNBC, ABC, CNBC, CBS, ESPN, Wall Street Journal, The New York Times, Entrepreneur Magazine, National Public Radio, CSO, Forbes, Worth, Business Insurance, CFO and Reuters. Currently, he serves as a columnist for Worth Magazine on security issues. Dr. Viollis has served on the Board of Directors for the Society of Federal Workers Compensation and the Advisory Board for the Florida Partnership of Safety & Health. 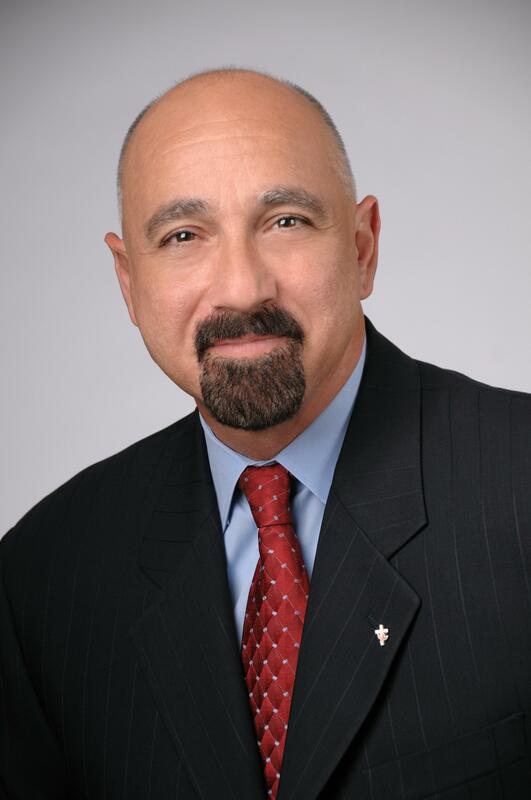 He is a regular speaker at multi-industry conferences and has served as an adjunct professor at Barry University. His professional affiliations have included National Criminal Justice Honor Society, Fraternal Order of Police, Business Executives for National Security, the National Safety Council, and the distinction of Honorary Assistant Attorney General for the State of Louisiana. He received his bachelor’s degree in Criminal Justice from John Jay College, an MPA from the University of Central Florida and earned a Ph.D. in Philosophy with a major in Business Administration from Madison University. BPI: Many of my followers want to take the leap into starting their own companies. With your illustrious previous career, what made you jump into the private sector? The desire to be a better provider for my family. I truly loved serving my community and our country Eric, but I had reached a point where my time was up and my need to send my children to college became paramount. BPI: What was the basis of your business model when you started RCS? PV:Actually, our core focus was Workplace Violence Prevention and Response. AIG had recruited me to serve their insured clients as their subject matter expert based upon the behavioural profile I had created on the offender as well as the violence continuum I developed surrounding the predictability of the offense. Their workplace assurance product was subsequently born as was our revenue stream. BPI: I tell people that going into business in this industry is a tough field to play in. What was the hardest part about it for you? PV:The lack of integrity I have and continue to run into from both colleagues and clients alike, the low valuation security is given by many and the subservient manner in which clients feel entitled to direct our way. BPI: The jury is still out on whether companies lower their image by marketing elite services. Do you market your services or is your client base from referrals? PV:We don’t do any marketing or advertising as all our business comes from word of mouth. That said, I deliver an average of 70 public appearances per year and that pretty much drives our business development. BPI: I personally know you and know that you are an “Old School” type of guy. Have you made the switch to the social media realm to further your company footprint? PV:Once again Eric, you are on point. For the record, I run my company on a yellow pad. That said, the hiring of my daughter has been a revelation for us as she has truly brought us into the 21st Century between Blogs, Twitter, SEO and other such mediums I am far too unfamiliar with to recant. I remain truly amazed at the exposure they have brought us. BPI: You deal mostly exclusively to the highly affluent and wealthy client base. What is the hardest part about convincing them to change their security perspective? PV:Appealing to the greatest oxymoron of all time, Common Sense (because if it were so common everyone would have it). We are exceptionally good at two things, Eric. One is “The Wakeup call” and the other is “Hitting the snooze button”. The victim mentality is something very few people embrace until they, in fact, become victims. BPI: Do you think that with the majority of your clients your services are called upon as a proactive measure or reactive measure? Meaning, are you called upon before or after a problem has happened. PV:Just over 89% of our revenue is event based. I wish to God we could change that but people still feel nothing bad will happen to them. BPI: When talking to a new client, have you found that there is a common mistake that they all are making regarding their overall security? Most certainly. BPI: I read your book “Silent Safety”. Was your intent to educate the affluent or to further educate security specialists in the industry? PV:Actually it was both. First, the Security Professional is perhaps the most prolific of all Trusted Advisors so the thought was to create a Best Practice model for us to use as a benchmark and second to illustrate a clear level of expectancy for the affluent on the subject of safeguarding their human, physical and financial assets. BPI: Not too long ago the term Workplace violence was originally referred to as “someone going postal at work.” You are considered an expert in WPV. Is there a rise in WPV or just a rise in coverage? PV:We have actually had three straight years of stable numbers on the traditional offender based attack but have seen a significant uptick in domestic violence at places of employment. BPI: We met when my company was asked to provide EP services for one of your clients. I think we both learned a lot about managing clients that experience. My question is this, do you ever turn down services to perspective clients, and why? BPI: What, if anything, do you see is the prevailing problem within the security industry as a whole? PV:Lack of compliance standards. Perhaps your blog can serve as a catalyst for us to assemble and maintain an executive body to create and maintain such standards. I would welcome the opportunity. BPI: If you had to do it all over again, what would you do differently? PV:Meet you sooner in my life! Absent that, nothing. God has guided my path and regardless of the peaks and valleys, I remain grateful for all the blessings he has and continues to afford me. To say I am honored would be a gross understatement,, Eric. Thank you for allowing me to join your Blog. Reference one of my responses on the most common mistake. I meant to say, CHEAP IS EXPENSIVE! From protecting their homes to themselves, many affluent peolple go for the cheap and almost always live to regret it. Congratulations on the success of BPI and the immeasurable impact you make on all the lives you touch.